One of the things I love about our garden is that it attracts a variety of birds, small, medium and large. 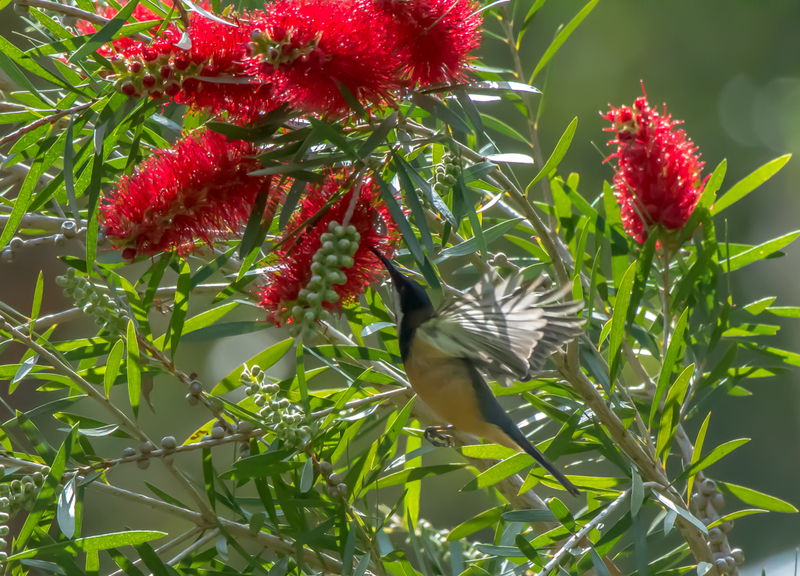 In this picture is an Eastern Spinebill, which is a honeyeater, collecting nectar from a callistemon. Probably the closest we have to a hummingbird, here in Australia. Not an easy shot to get but it was fun trying.